Reap What You Sow … Great Potential For Growth!! Sowing & Reaping – A Simple (but Powerful) Concept! Building a compelling brand for your RV dealership is a powerful business tool; not everybody has it, but those who do seem to have that “edge” which sets them apart from their competition. 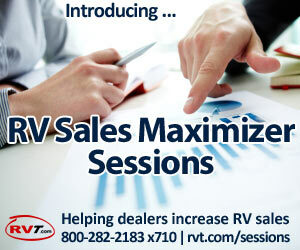 Often you can buy very similar RVs from several different dealers, but there’s just “something” about that one dealer’s brand that keeps you coming back, causes you talk about them, makes you feel so good when you engage with them. Rather than waxing philosophical about this, I’m going to keep it to something tangible in this post; namely, the quality (and quantity) of the content that gets produced and shared by an RV dealership. I’ve talked about your content before, but not so much on the “sowing and reaping” aspect of it. 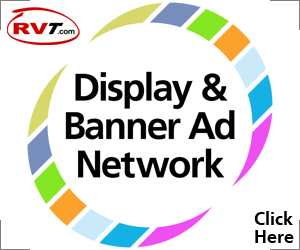 We’re all sharing content online – from banners to RV classified listings to emails and social media etc. The question is, does any of it “stink”? There’s a saying in the computer programming world – “Garbage in, garbage out!” In fact, the whole concept of input/output (or I/O for short) is critical not only in computer science but also in your RV business as well. It doesn’t take much explanation – if you feed something garbage, you get – at best – well-organized garbage. I’ll add a new saying to that: “Nothing in, nothing out!”, because sometimes, that’s just what happens – with many RV ad listings. Let’s look at the roster for some of the All-star players in the content game. 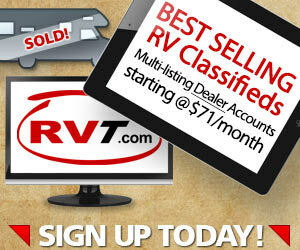 Working with RVT.com, I see all kinds of listings come in; the good, the bad and the ugly. I’m talking about poor-to-no descriptions, missing pieces of data (i.e., slides, GVWR, sleeps, fuel type, mileage, etc. ), poor photography, no dealership branding or calls to action, etc. Possibly as important as the textual data are the photos of your inventory. Super-clear and obvious recommendations: Clear, Crisp, Bright, Beautiful. Don’t settle for anything less; don’t sell your business and your inventory short by putting up a wall of ugly pixels between you and your buyers. ★ Invest in a digital SLR camera and some lighting equipment – hire a photographer if necessary to work 1 day a week. Think about the real estate biz and how dramatic a difference good photography makes when home shopping! Yes, videos for listings are powerful. But! Promotional dealership videos speak volumes to customers and put a real face to your logo. Show real customer testimonials, and more! Note: These brand videos are highly reusable and can be shared across virtually all of your channels (including display/banner as mentioned above). I’m mentioning it because it’s important! Email drives repeat interactions with your brand; access to a person’s inbox is a privilege not to be taken lightly. And yet, getting email right isn’t easy (at least, not for me), but if done well it can really set you apart from the pack in this industry. Clean, attractive emails with minimal copy that are delivered in a timely manner can increase your customer’s engagement with you. Create and share cool content with them, etc. It’s ok to ask for a Facebook “Like” on your other channels, but please don’t pummel folks with pleas to connect on social media! Rather, one of the best places to connect with people on social media is, not surprisingly, right within that particular channel! So, if you’re not already, consider advertising on Facebook (as well as paying to boost your posts’ reach) rather than spamming “Like us on Facebook!” all over every other channel. You’ll get more mileage, and likely, a more engaged social media audience as a result. I could go on and on about the pursuit of mastery over various marketing channels, but I really want to bring the focus back to sowing and reaping. You can start wooing prospects and customers in your marketplace this year by sowing liberally into a brand which displays qualities such as friendliness, approachability, professionalism, care, accountability, expertise/knowledge, ethics and values, to name a few. But really, what kind of RV dealership would you rather own or work for? One that embraces at least some of the above qualities, and “shows it” with words, images and most importantly actions, or one that feels more like just another “RV mill” that happens to be geographically near a customer?